For a more hassle free application process, you will want to work with your loan officer to complete the application form for you. There are two popular ways to complete an application, one is by making an appointment to see your loan officer and two is by phone. 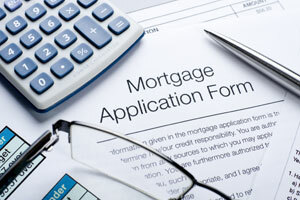 Once you have completed the application process, the loan officer will send you a package along with instructions and a list of documents you will still need to collect to send in. Do not be shocked to find that your documents will be sent back and forth for completion.